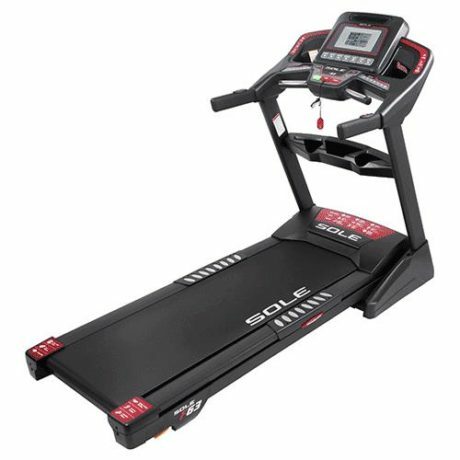 In this article, we will compare two treadmills that are available in the same price range, Lifespan TR1200I vs Sole F63. These two models are interesting because they both are foldable, so they won’t eat much room for storage. They are ideal options for homes with limited space availability. So, which one is better for you? 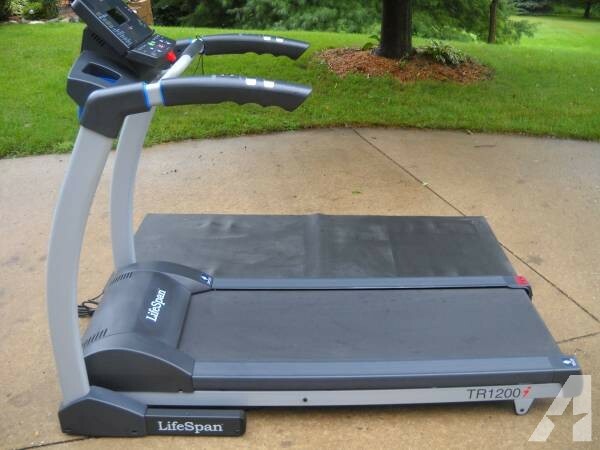 If you are looking for a compact and lightweight treadmill, Lifespan TR1200I is the way to go. This folding treadmill has smaller overall dimensions. It measures 70 inches x 33 inches x 54 inches and weighs about 204 lbs. It is also equipped with a pair of wheels so that you can move it around easily. It will take less space of your room, and it will be easy to store. See also: LifeSpan TR1200I vs TR3000I. Note that the compact, lightweight design comes at a price. The running surface on Lifespan TR1200I is slightly smaller. It measures 20 inches wide and 56 inches long. This is not a big problem, but you need to keep that in mind. Users with large physicality and runners may find it a bit too small and uncomfortable. If space availability is not something that concerns you the most, Sole F63 remains as a viable choice. This model is a thud larger and heavier. However, the dimensions won’t be a problem if you have enough room for it. This model measures 82 inches x 35 inches x 57 inches and weighs about 251 lbs. It also has wheels to enhance the portability. The running surface of Sole F63 is slightly larger. It measures 20 inches wide and 60 inches long. The increased size will benefit users with large physicality and users who run. There is more area on the front and back where you can step. It will feel slightly more comfortable. In general, both Lifespan TR1200I vs Sole F63 are very durable. Both frames are constructed from steel. The frames are extremely tough and resilient. Lifespan TR1200I has more curved parts, while Sole F63 is mostly straight and firm. Both models also have excellent cushioning systems which effectively absorb and dissipate the impacts from your steps. Besides enhancing the comfort, the cushioning systems are also important for keeping the internal parts intact. Both have two-ply tread belts which are tough and sturdy. However, these two models have slightly different maximum weight limits. According to the specifications, Lifespan TR1200I is suitable for user of up to 300 lbs and Sole F63 is suitable for a user of up to 325 lbs. So, we can say that Lifespan TR1200I is slightly less durable than Sole F63 because they are made to withstand different user weights, with Lifespan TR1200I having a slightly lower maximum weight limit than Sole F63. Both models have similar incline levels. You can adjust their incline levels between 0 and 15 degrees. However, it is not recommended to use the maximum incline level, especially if you have a tall body, because the handlebars may be too low for some people. Both models also have integrated heart rate sensors on their handlebar grips. However, the built-in heart rate sensors are not very accurate. Both models can work with chest straps – you should consider using a chest strap in order to get more accurate heart rate tracking. Lifespan TR1200I comes with 21 built-in training programs, including some specific programs that target weight loss, cardio training, sports training, and healthy living. On the other hand, Sole F63 only has 6 built-in programs and 2 custom programs, so there aren’t many varieties. The next difference between Lifespan TR1200I vs Sole F63 is their motors, speeds, and overall performance. Although they come with comparable prices, they are actually equipped with motors of different power levels. Lifespan TR1200I is armed with a 2.5-CHP motor. The roller diameter is 2.5 inches. This model is able to provide a minimum speed of 0.5 MPH and a maximum speed of 11 MPH. This model is ideal for casual users and joggers who don’t run intensively. 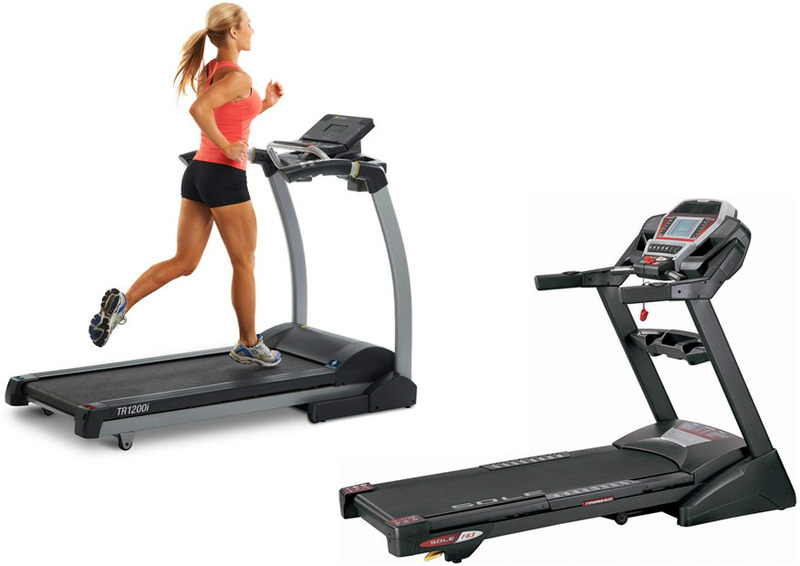 Although this model isn’t necessarily the fastest or the most powerful treadmill, the overall performance is good. It generally performs smoothly and consistently. When changing the speed, the transition is smooth without an annoying, possibly dangerous knock. Sole F63 comes with a more powerful motor. It has a 3.0-CHP motor with a roller diameter of 2.5 inches. It is able to provide higher speeds. The minimum speed is 0.5 MPH, and the maximum speed is 12 MPH. Hence, this model is suitable for joggers as well as casual runners who want to train at home. The overall performance of Sole F63 is very good. It runs smoothly with good stability and consistency. You can use a wide variety of training programs, including those with variable speeds. The transition is smooth; there is no abrupt speed change that may surprise you and knock you down. Lifespan TR1200I comes with a lifetime warranty for the frame and motor. This is impressive because most other models in the same price range don’t provide a lifetime warranty. However, the warranty coverage for the parts and labor only goes for 3 years and 1 year, respectively. You can opt for an extended warranty, which will extend the coverage to 5 years for the parts and labor, when purchasing the unit. Sole F63 also has a lifetime warranty for the frame and motor, so it is also impressive. The deck, parts, and electronics are covered for 3 years, while the labor is covered for 1 year. In general, Lifespan TR1200I is more recommended. This model is more compact. It doesn’t eat much room. It comes with more training programs and the option for an extended warranty. The build quality is already good enough to suit most users. The overall performance is good, suitable for casual users and joggers.